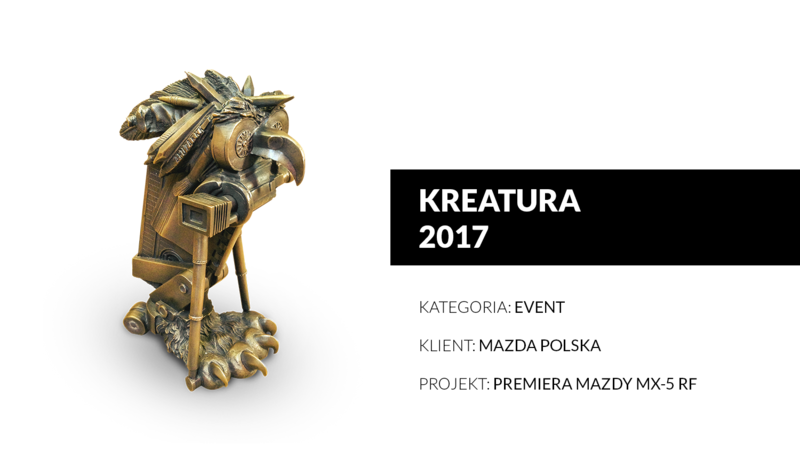 This unique project was awarded Kreatura 2017 in the event category and recognized within the Golden Arrow 2017 competition in the experiential marketing – event marketing category. 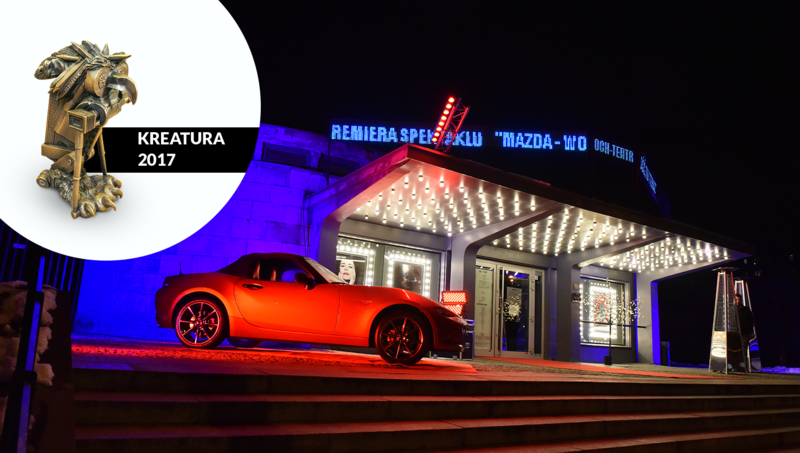 Development of an unconventional creative and organizational concept for the Polish premiere of Mazda MX-5 RF. 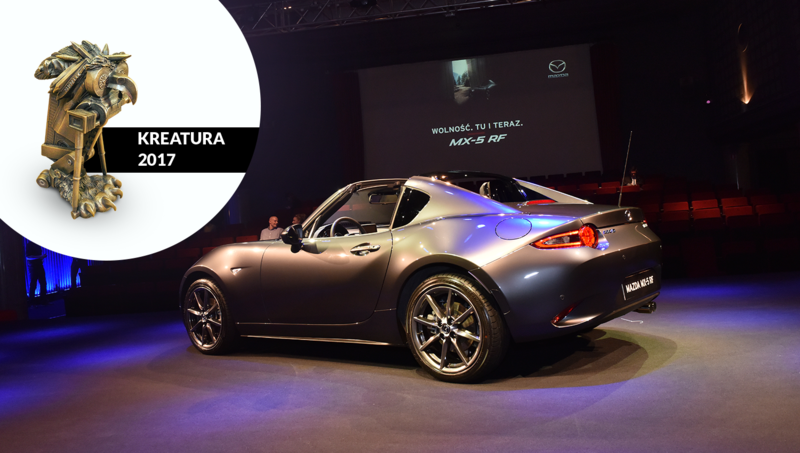 Mazda MX-5 is a legendary car – the most popular roadster in the world, an exciting, exceptional and unconventional model... We were tasked with a similar mission – to transcend the clichés, stir emotions and surprise the audience that knows almost everything about cars, that is automotive journalists and car dealers. How did we do it? We have broken the boundaries of event marketing by combining a book, an audiobook and an event into a single experimental theatre performance, which we staged at the Warsaw’s Och-Teatr. 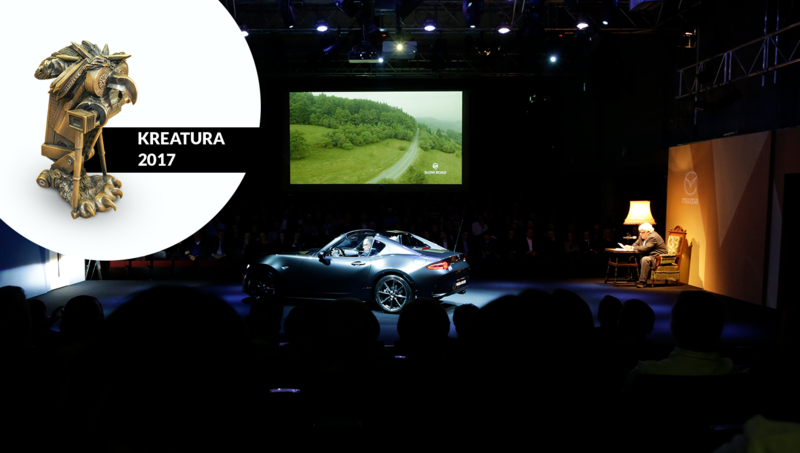 The play was entitled Freedom: here and now and Mazda played a lead part in it. It was probably the first premiere like this ever in the automotive industry. We employed set jetting, a story-based traveling idea inspired by a favourite book, film or game, in reverse. We wrote a book specifically… to invite others to it. The novel was read at the theatre by a famous film actor Tomasz Knapik. The events covered in the book actually unfolded in front of the audience, which had an impression that the reader’s voice manipulates actors and events, which they were gradually drawn into. The play was an interactive story about marriage, quest for freedom and traveling, and its message alluded to the ad campaign MX-5 and the “Beautiful Roads” and “Slow Road” projects.